MANILA -- Malacañang on Monday welcomed a recent positive forecast by the Barclays, a British investment bank and financial services company, on the Philippines’ economy in 2018. “We welcome the recent Philippine growth outlook by the Barclays, stating that the country is seen to reach a growth close to 6.5% in 2018,” Presidential Spokesperson Harry Roque said in a Palace media briefing. 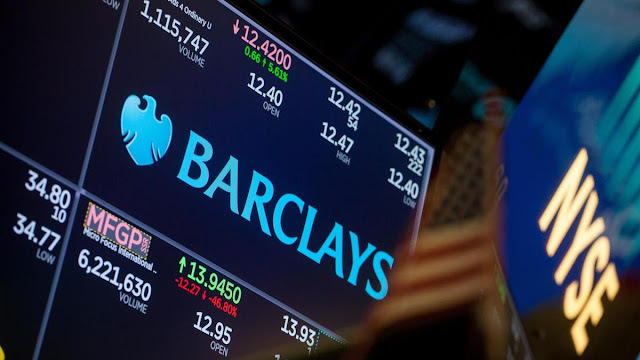 The Barclays has attributed the positive forecast to the country’s structural inflows including remittances of overseas Filipino workers (OFWs). The foreign direct investment (FDI) as well as government spending boosted by the Duterte administration’s massive infrastructure projects under the "Build, Build, Build" program has also been cited by Barclays in its forecast. “So umaasa pa rin po ang Barclays, gaya ng gobyerno natin, na makakamit pa rin natin ang mataas na growth rate sa kabila ng lahat ng mga pagsubok na dinanas natin nitong mga nakalipas na buwan (So like our government, Barclays is also expecting that we can achieve high growth rate despite all the challenges that we have experienced in the previous months),” Roque said. Typhoon "Ompong" (international name "Mangkhut"), the strongest to hit the country this year, has left at least PHP14 billion worth of damage to agriculture and nearly 90 people dead, many of them due to landslides. In the same press briefing, Roque also reported that the Philippine electronic exports earned USD3.28 billion in July 2018. “This contributes 56 percent of the total USD5.85 billion exports for the month,” Roque said, citing a report of the Philippine Statistics Authority (PSA). Similarly, the Semiconductor and Electronics Industries in the Philippines Foundation Inc. (SEIPI) reported a year-on-year growth of 5.38 percent for the January to July period with USD21.61 billion.